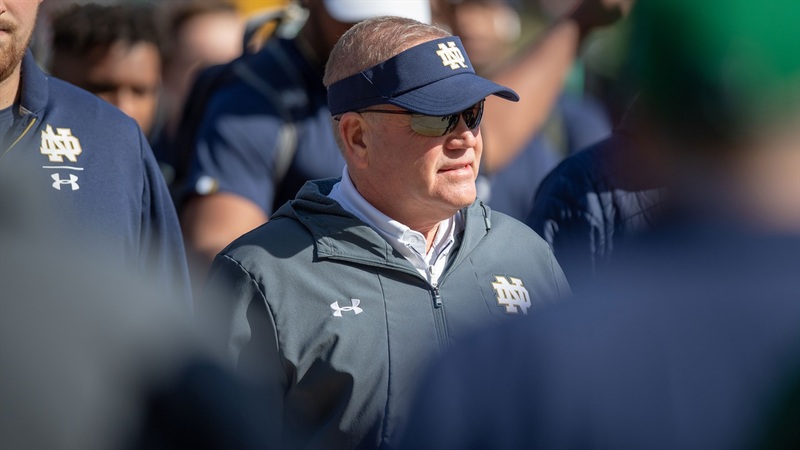 Notre Dame football coach Brian Kelly spoke following the Blue-Gold game on Saturday afternoon. “The good news, no injuries. Always happy about that. There are a number things out there we can certainly get better at. You’re looking for competition and opportunity for guys to grow and learn after a month of practice. This is about how they perform. How do they react when it’s a game situation versus a controlled situation. That’s why you play these games.